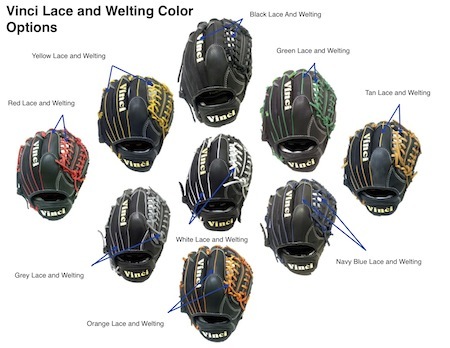 Economic factors certainly come into play when considering youth baseball gloves. On the one hand (so to speak) you want to buy your burgeoning slugger or fireballer a glove that works well and they can feel proud of. But on the other hand their little hands will soon be ready for a full size glove so the shelf-life of a youth baseball glove is a lot shorter than the one you are going to buy your kid when they get a little older. We’ve compiled a list of four youth baseball gloves that are reasonably priced and well-made enough to be handed down to any younger brothers or sisters your well appointed ballplayer may have. While these gloves can purchased on their respective companies’ websites, sometimes you might get a better deal at third a party website such as Amazon or at your local sport goods store. Before baseball comes teeball. 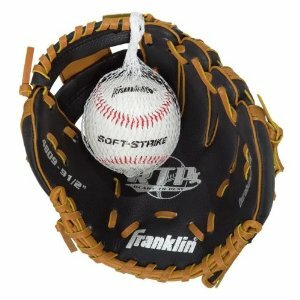 And if the shelf-life of a youth baseball glove is sort the window of usefulness of a tee-ball glove is miniscule. But don’t worry, the Franklin Sports Field Flex Teeball Glove only cost about as much as few lattes. And it comes with a free tee ball! This 9.5 inch glove is not fancy, but it does come with embossed leather textured shell material and shok-sorb palm padding. Those who have bought the glove report it doesn’t feel or look like the cheap plastic gloves you’d expect at such a low price point and that their kids seem to like the mitt. 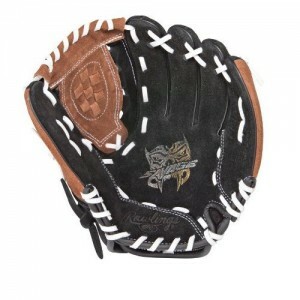 The Rawlings Savage Series Infield/Outfield glove is a cool looking mitt for a cool price. Featuring white leather laces and a conventional flex loop plus neo flex technology this glove is perfect for five to seven year olds. This 10 inch glove comes 90 percent broken in, good for impatient youngsters who just want to get right out on the ballfield. And it works for infielders and outfielders, which is great for little kids still trying to figure out where they belong on the field. Although small, those who have bought glove says it snaps around the ball with the same force a full-size model and most would recommend the mitt to a friend. 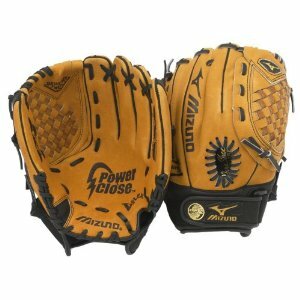 The Mizuno Gpp1051 Prospect Series is a great glove for when a youngster has graduated from tee ball but still isn’t quite ready for a full-sized adult glove. The 10.5 inch mitt features multiple technologies which help young hands close on the ball and grip it. It also has a parashock palm lining which protects growing pams from the sting of the ball and a special youth oriented tartan web pattern. The glove is available for right handed and left handed throwers and verified buyers report that the mitt is easy to break in and long lasting. OK, we said this list was going to be only of reasonably priced gloves. But reasonable priced is a relative term and at only $250 bucks the Nokona Bloodline Select BL-200 is quite a bargain for somebody who is really rich and likes to spoil their children. 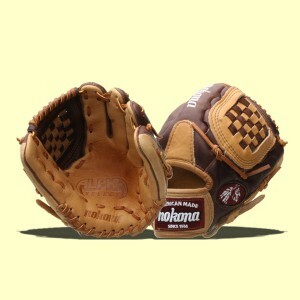 Kidding aside, if you want a really high quality youth baseball glove and cost is not a factor this is a winner. Although it sounds vaguely Japanese, Nokona was actually founded in Texas and is one of the few glove manufacturers to still make their mitts in the United States. Although the Bloodline Select’s high quality leather is going to take a bit longer to break in than your normal glove its unique tanning process results in a glove that is unusually tough and sturdy.